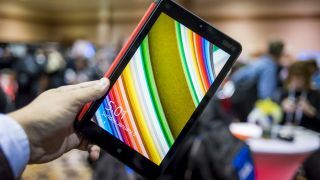 Lenovo has announced that its profits have jumped by a quarter in the fourth quarter of its financial year with desktops and mobile devices fuelling its growth globally. 2014 has been a great year for the Chinese technology company following the headline-grabbing acquisitions of IBM's server business and Motorola Mobility for $2.3bn and $2.91bn respectively. Both purchases allow it to expand its global footprint and capitalise on the growing Post-pc market. Full year revenues grew 14% year-on-year to reach $38.7bn (about £23bn, AU$42bn), which means that Lenovo should comfortably surpass $40bn if it maintains this growth rate. The company's profits surpassed $1bn (about £600m, AU$1.1bn) for the first time ever, up a whopping 27% year-on-year. It consolidated its position as the biggest personal computer in the world with a near 18% share of a market that has been declining by 8% over the last year. Lenovo, a true global tech giant? For the first time ever as well, EMEA revenues for the company surpassed those of mainland China, a fact which highlights Lenovo's lesser reliance on its traditional home base. Laptops and desktops still account for the bulk of the company's revenue (80%) with smartphones and tablets accounting for another 13%. Lenovo shipped nearly 13 million units, adding a percentage point to its market share, to 4.6%, a figure that's bound to increase after the Motorola Mobility purchase. The company will be looking to boost its operating profit margins which are currently in the single-digits. IBM's low-end server business unit is likely to give that a boost as it brings a 14% market share to Lenovo along with the possibility to offer a more complete end-to-end solution to businesses dealing exclusively in Intel-based hardware. Hello Moto: The true story behind Lenovo's big buy.